The Victoria, originally named ‘Dunnottar Castle’, was one of three former Union-Castle Line ships operated by Chandris Lines. After 22 years of service with Union-Castle she had been bought by ‘Incres Line’ in 1958 and re-named Victoria. Steaming out of New York harbour she became a fast favourite and years later, in 1975, Chandris Lines bought her to cannibalise for spare parts. Before dismantling could commence it became apparent that Vicotria was a very fine ship deserving of her own role in the Chandris fleet. Therefore she set to sea again proudly bearing Chandris’ blue funnel and white cross. In a bizarre twist she had been named the ‘M/S The Victoria’, with ‘the’ being clumsily painted on her bow before ‘Victoria’. In this capacity she served way up until 1993 when she was once again sold and re-named before being finally scrapped in 2004. 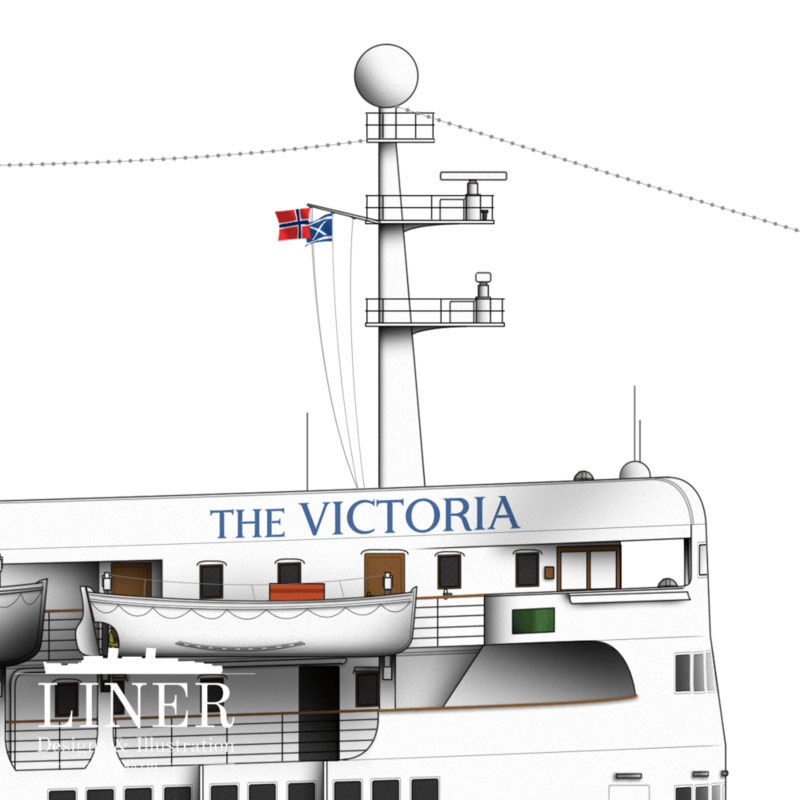 This illustration of 'The Victoria' was completed in February 2019 by Michael C Brady and involved around 40 hours of drawing. 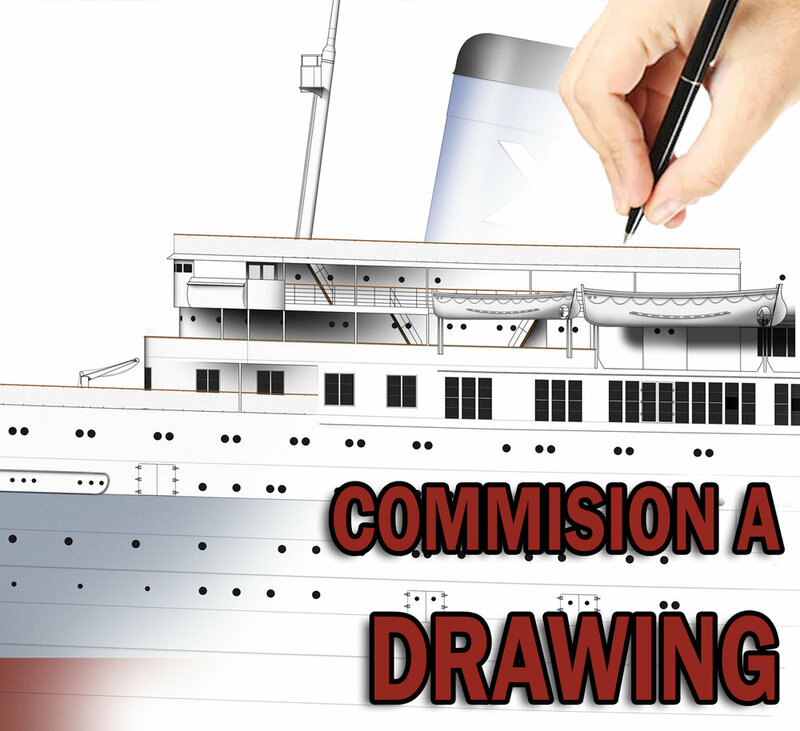 Original plans and high-definition photographs were studied in order to maintain authenticity. The Victoria’s rounded cruiser stern and twin propellers. Notice the sacrificial anodes about the rudder. The bridge area and mast complte with radar and direction-finders. Looking amidships where the popular ‘Winter Garden’ cafe was located.